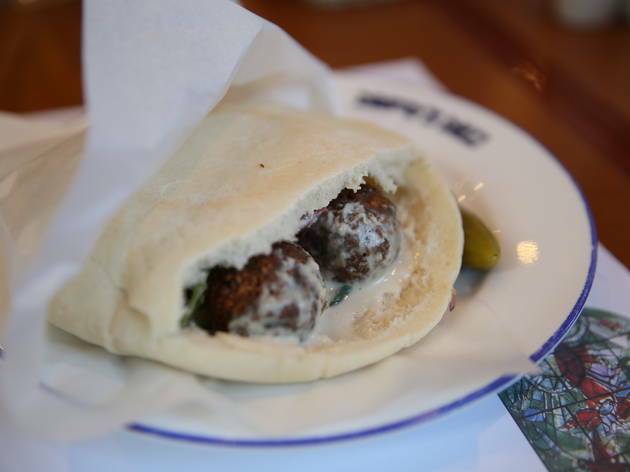 Finding a proper falafel joint in the capital can be a bit of a mission. 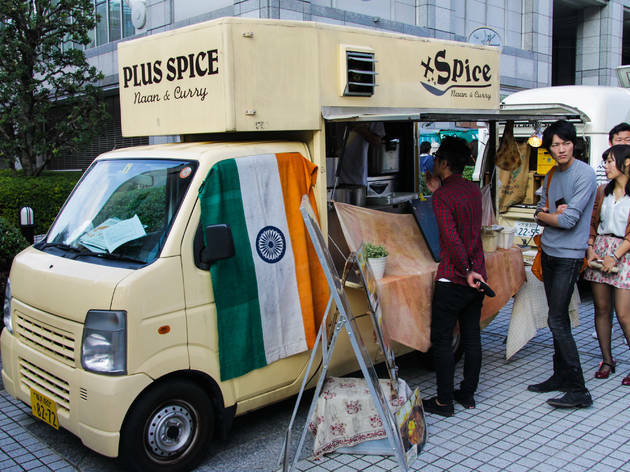 One of the most culinarily diverse places on earth, Tokyo appears to have a bit of a blind spot when it comes to food from the Middle East. But, if you know where to look, the city is home to some absolutely superb falafel – though you might need to trek halfway across town to get your hands on it. Here are our eight favourites. 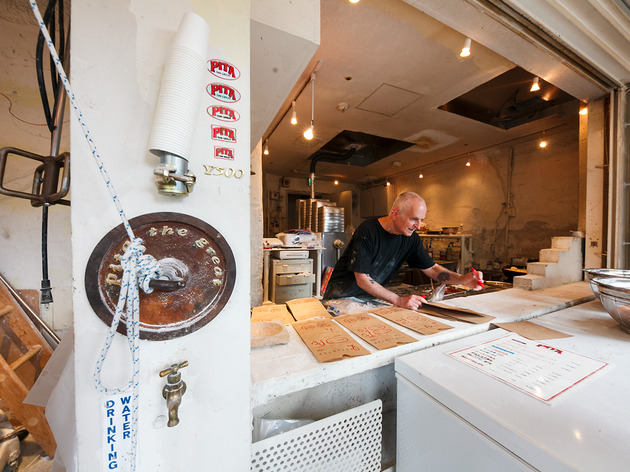 Shibuya’s best falafel shop is harder to find than a bashful chameleon. Perched on a highway intersection a good 15 minutes’ walk from Shibuya Station, it doesn’t even have a sign outside to indicate that you’ve found the right place. 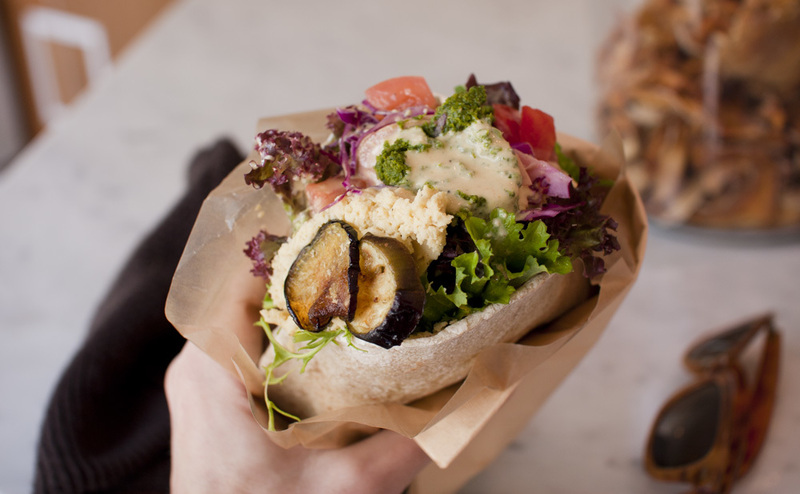 Culinary pilgrims will be rewarded for their persistence, though: Kuumba du Falafel’s sandwiches (¥1,200, half size ¥880) are superb, crammed with so much fresh veg, fried aubergine, hummus and tahini sauce that they’re almost impossible to eat without making a mess. If you’re eating in, try adding some of the spicy sauce available at the tables for an extra kick. No prizes for guessing what the speciality is at this long-running Tameike-Sanno takeaway, which opened back in 1993. Pita the Great prepares its bread in-store, and you’ll notice customers surreptitiously brushing flour from their clothes while they wait for their orders to arrive. 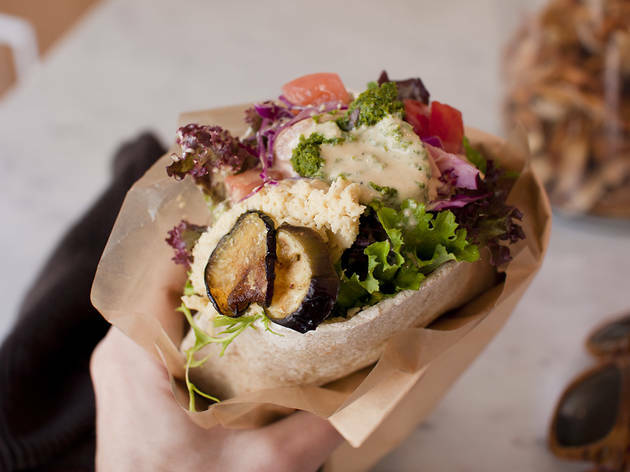 The shop’s signature falafel sandwich (aka the ‘Big Pita’, ¥900) is a real piece of work, filled with roughly shaped patties that are fried to order, plus sauerkraut, salad, tahini and either tomato or spicy sauce. It’s a substantial meal as is, but for an extra ¥80 you can chuck on an additional topping of fried potatoes or onion. Just be prepared for the inevitable food coma that will follow. Be warned the opening hours are somewhat flexible, with the shop often closing early. 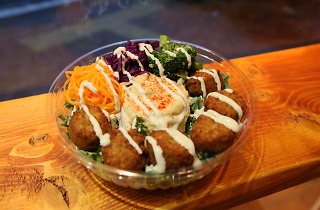 Shaking things up in Roppongi since February 2017, the takeout-only Falafel Brothers has shot straight into Tokyo’s falafel hall of fame with its fried-to-order, crispy and gluten-free treats, served in both sandwich and salad form. You can choose your toppings from a selection of ten or so options, including burdock kinpira, beetroot, carrot and jalapeño, and wash it all down with a bottle of Maccabee beer. 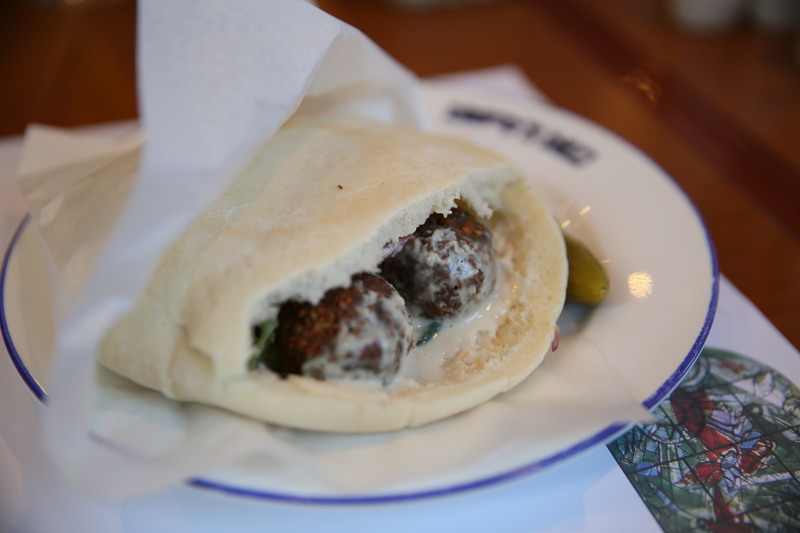 The full-size falafel sandwich goes for a reasonable ¥900 and is large enough to satisfy the biggest of appetites, while a half size costs ¥500 and the salad bowl can be had for ¥1,000. Add in the unbeatable location – right behind Roppongi Station – and you’ve got yourself a winner. 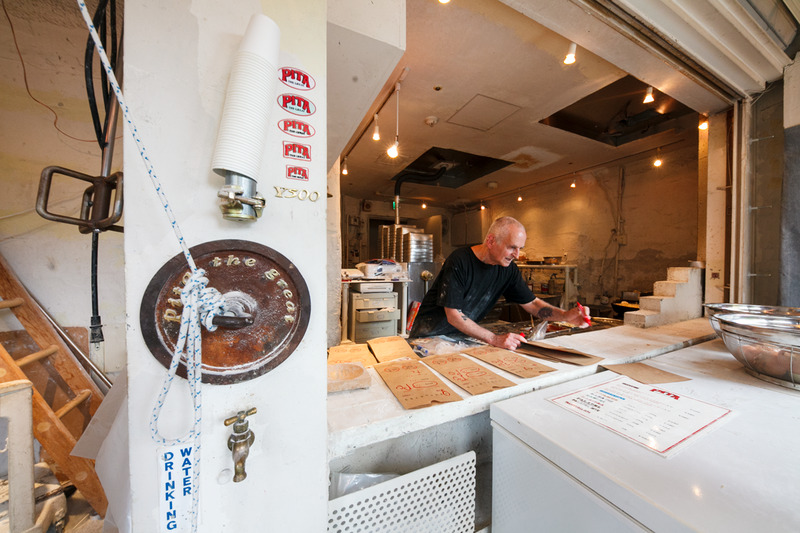 The chance to strike up conversation with friendly owner Dan Zuckerman is one of the many attractions at this casual Israeli restaurant roughly halfway between Ebisu and Hiroo. 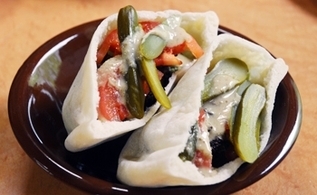 At lunchtime, you can choose from six types of pita sandwich, including ones filled with falafel (¥1,180) and chicken schnitzel (¥1,280). 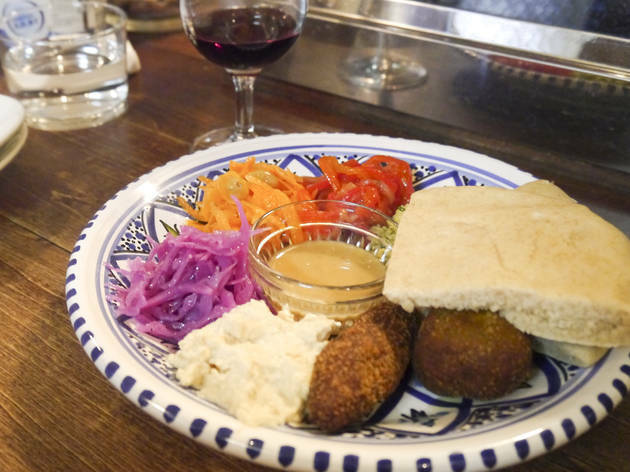 In the evening, the menu broadens to include baba ghanoush, kebabs and other Middle Eastern favourites, while the drink list extends to Maccabee beer and Israeli wines. 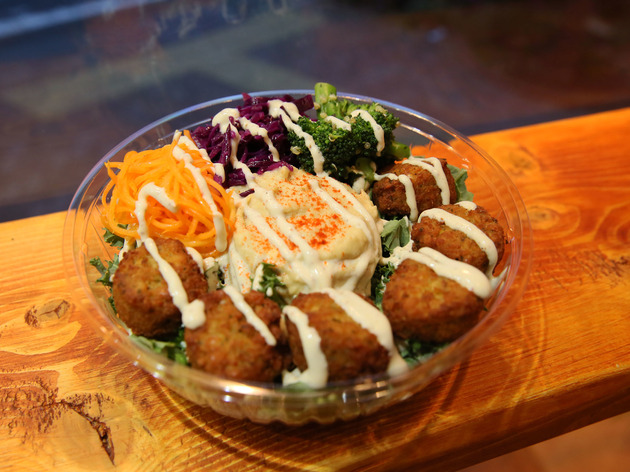 Run by a Japanese woman with an Egyptian husband, this inconspicuous and homely deli in Higashi-Kitazawa does its falafel a little differently. Here you’ll find a southern Egyptian take on the flavour bombs, made with dried fava broad beans rather than chickpeas. 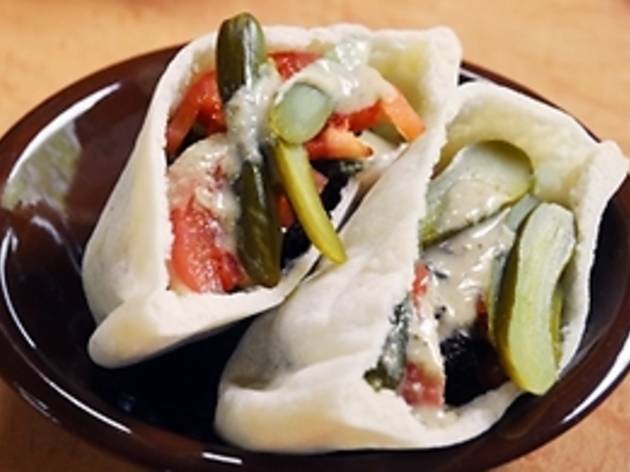 They’re often eaten plain in Egypt, but you can have them in a pita sandwich (¥540) topped with pickles, tomato and sesame sauce. 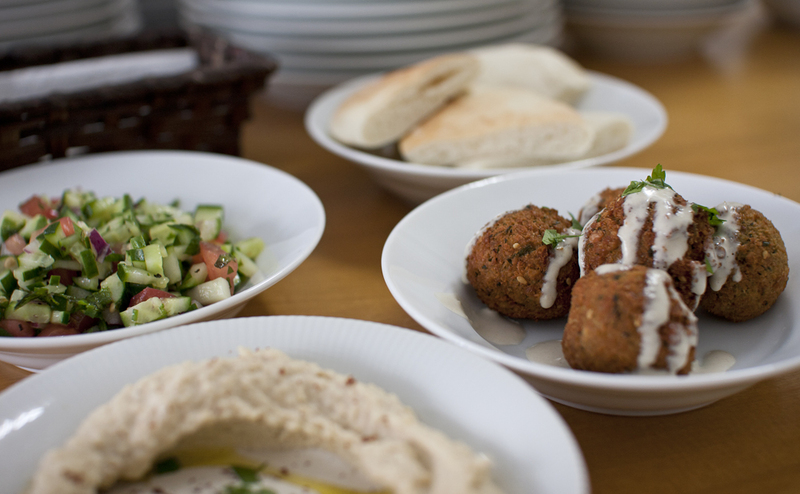 Lamb and chicken kebabs, Egyptian stew, and fried chicken bentos are also on offer. 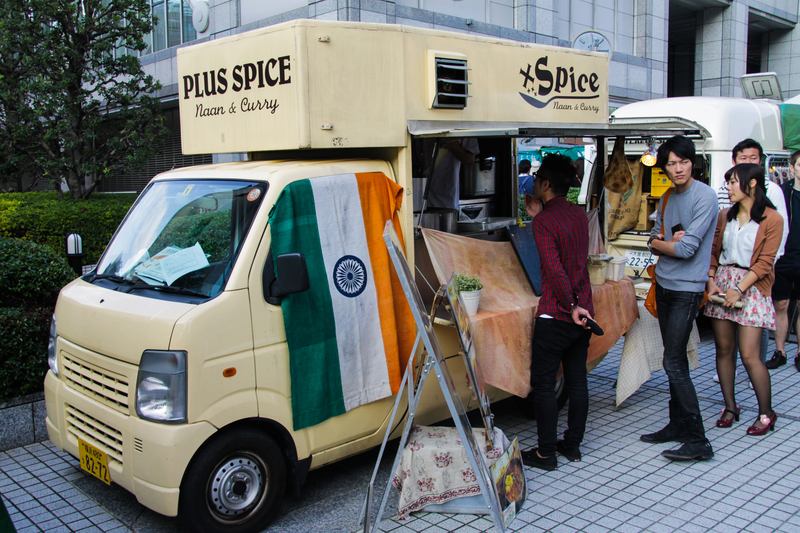 There’s only room for eight diners inside, so when the sun’s out, get your food to go and head for nearby Kitazawa Park. Israeli food and eastern European-inspired Jewish cuisine are the twin specialities at this long-running Mita shop. 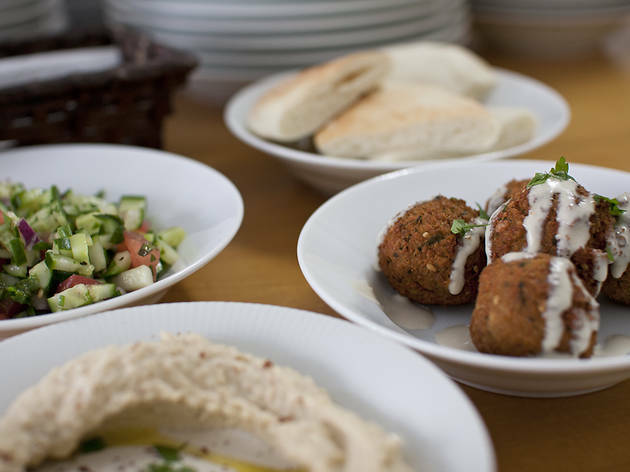 In addition to great falafel flavoured with herbs flown in from Israel, you'll find home-baked pita and bagels, hummus, shakshouka and Israeli wine, all relatively reasonably priced. On those days when only a wet lunch will do, head straight for David's Deli and order the winning combo of a falafel sandwich (¥680) and Goldstar beer. 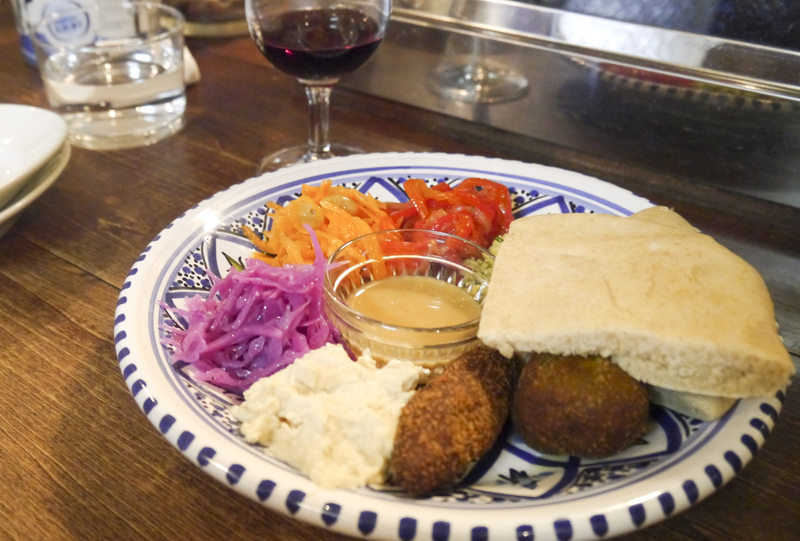 This tiny, eight-seat bar on the outskirts of Shibuya is a true original, serving a diverse, vegetarian-friendly menu of African and Middle Eastern food, including falafel (¥600), couscous and meze. The drink selection is also substantial, including natural wines, rum, calvados and – somewhat surprisingly – a lineup of Basque digestifs. It’s all accompanied by a soundtrack of Afrobeat, ’60s and ’70s popular music from central Africa, and rare tunes from places such as Cape Verde, Martinique and Guadeloupe. 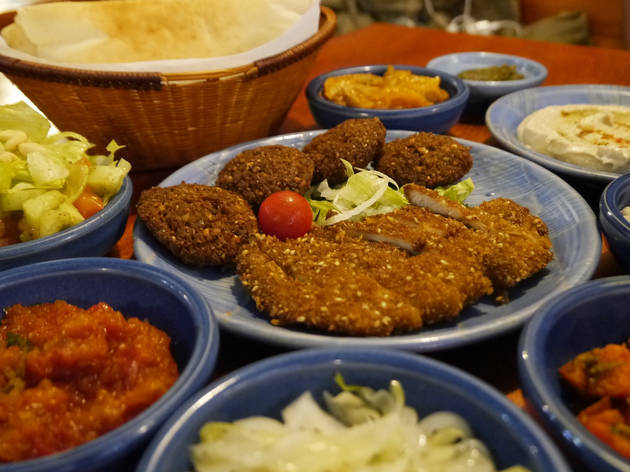 This airy, high-ceilinged Israeli restaurant on a backstreet near Ekoda Station is home to one of the best dinner deals in Tokyo. 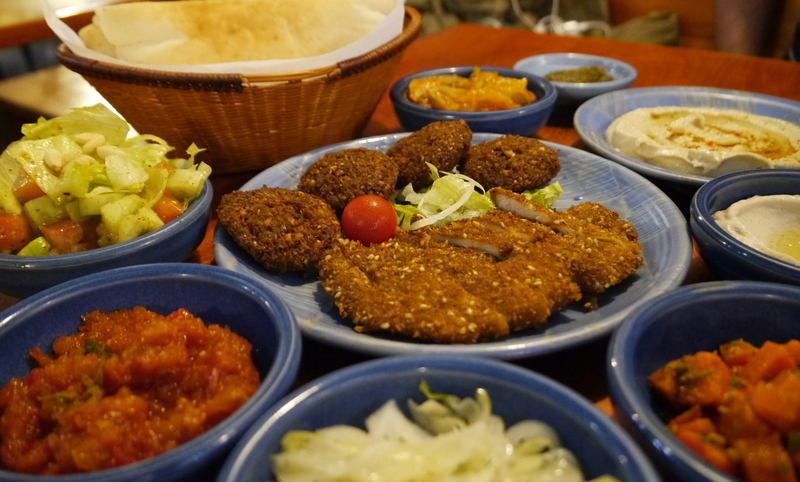 Shamaim's all-you-can-eat course gets you a generous spread of falafel, hummus, schnitzel, chicken shishlik kebab, pita bread, soup and a variety of small dishes for a wallet-friendly ¥2,400 per person (there's a meat-free version available for vegetarians, too). At that price, we can forgive things for being a little rough around the edges at times, and only the most hardened kvetcher is likely to go home unsatisfied.